Kraft paper cards have extensive applications. 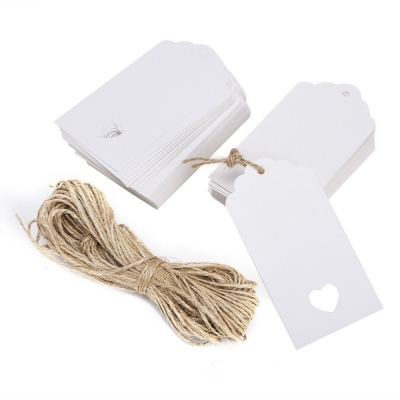 They are suitable for DIY cards, luggage labels, greeting card, gift card, message, Christmas cards, bookmarks, clothing tags, hand-painted, stamped and so on. It comes with 20 meters of double-stranded jute twine, which you can choose how long you want.